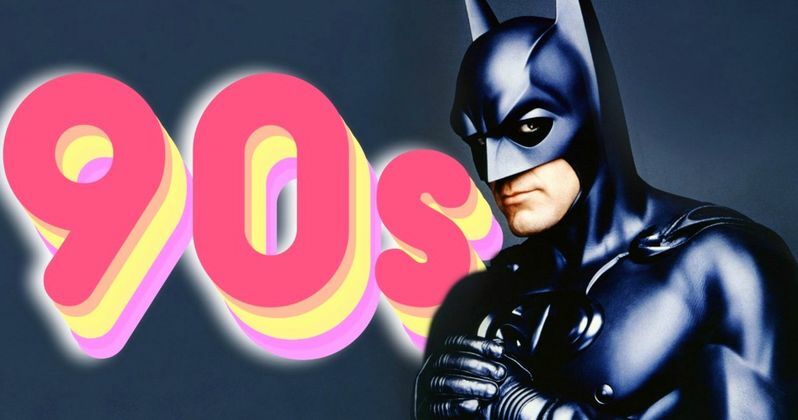 Could the Dark Knight be making his way to the 90s? That's the latest rumor making the rounds in regards to The Batman. Matt Reeves (War for the Planet of the Apes, Cloverfield) was tapped to direct the movie two years ago and things have seemed to be slow going ever since he got the gig. However, there is finally some traction on the project, with production (barring another unforeseen speed bump) set to begin before year's end. While we wait for some official word from the studio, we've got this new, possibly juicy rumor, to chew on. As is always the case with things such as these, we must caution right up top that it should merely be regarded as a rumor for the time being, since it isn't coming from anyone officially related to the production or the studio, at least not as far as we know. That said, a new report claims that The Batman, which Matt Reeves is currently polishing up the script for, will be set in the 90s. It will see a version of Bruce Wayne in his late 20s/early 30s (which lines up with prior reports) trying to solve a mystery. Several prior reports have indicated that Matt Reeves is looking to cast a younger version of Batman, when compared to Ben Affleck, who has officially retired the role. Additionally, most of the rumored names floating around (again, nothing confirmed by the studio just yet) are in their late 20s. So that lines up. That makes this 90s setting all the more interesting. Doing some quick math, this essentially means that this younger actor could be the same version of the character as Affleck, and we'll just be seeing him during his younger years, meaning The Batman could absolutely exist in the same continuity as movies like Batman v Superman: Dawn of Justice. Given the fact that a new, younger actor is coming on board, and given that a movie like Joker, which arrives later this year, will take place outside of the DCEU continuity, The Batman's place within that continuity was in doubt to some degree. Setting it in the 90s could just be where Matt Reeves envisions the story. But being able to connect it to the other movies in this universe would be beneficial for Warner Bros.
We also know this movie will focus more on Batman's skills as a detective and will be a noir take on the character. Setting it in the 90s would mean less modern technological advantages, which could help shine an even brighter light on the character's place as the "world's greatest detective." This report also reaffirms that the movie will feature multiple villains, with the Penguin being one of the main antagonists. We'll hopefully get some more firm details as production ramps up later this year. The Batman is scheduled to hit theaters on June 25, 2021. This news was first reported by Discussing Film.